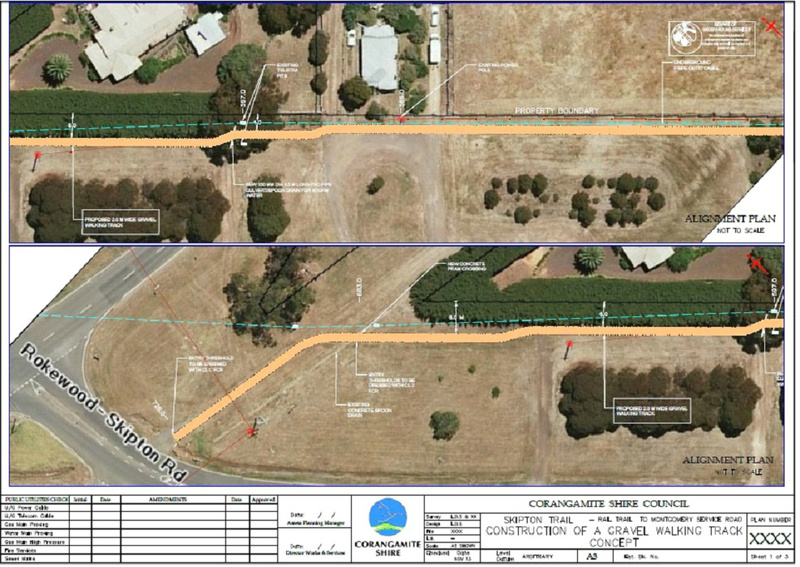 SKIPTON RAIL TRACK LINKED WALKING TRACK PERLIMINARY CONCEPT PART 1. 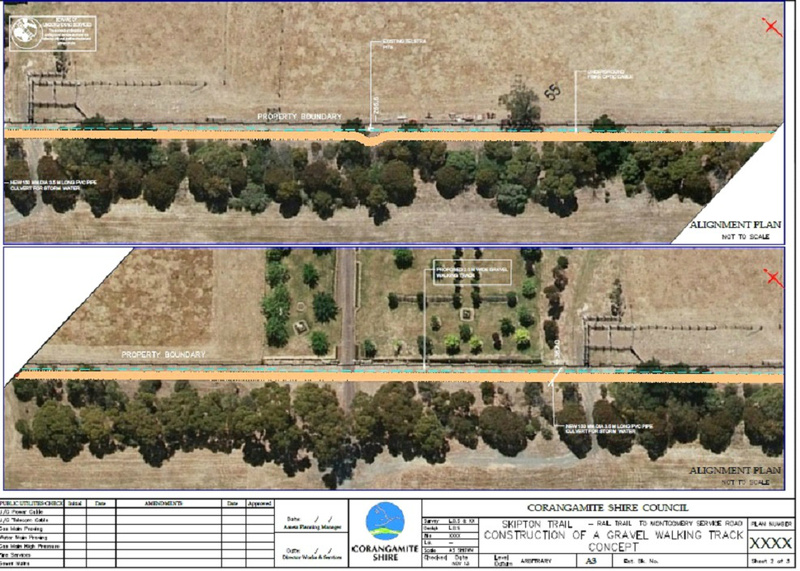 SKIPTON RAIL TRACK LINKED WALKING TRACK PERLIMINARY CONCEPT PART 2. 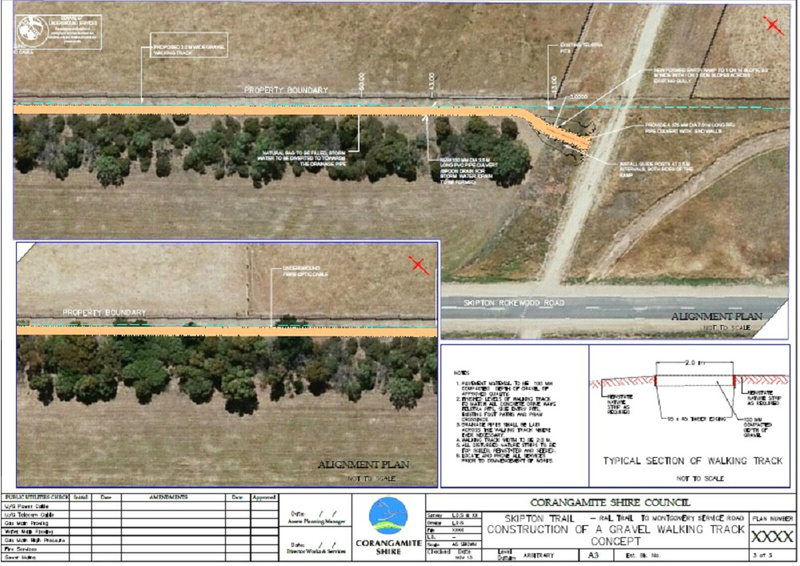 SKIPTON RAIL TRACK LINKED WALKING TRACK PERLIMINARY CONCEPT PART 3. THE WALK BEGINS FROM THE BALLARAT-SKIPTON RAIL TRAIL, TURNING LEFT ADJACENT TO THE ROKEWOOD-SKIPTON RD, THEN CROSSING AT THE INTERSECTION WITH MONTGOMERY STREET.